Story Map Tour is a popular Story Map, and is especially useful when you want to present a set of photos or videos along with captions, linked to an interactive map. It’s ideal for walking tours or any sequence of places you’d like users to follow in order, but still allow room for exploration. Examples include Hidden San Diego, San Diego Mission Bay Marsh Reserve, and many more that you will find on the Story Map Tour gallery. A Map Tour consists of a series of photographs or videos that are placed at a specific location on the map. Photos and locations are numbered, and the viewer is guided through each of the locations sequentially. These are the tour stops and each stop is referenced by its number, or index. Each stop presents a location on the map, a photo or other media, and a description. 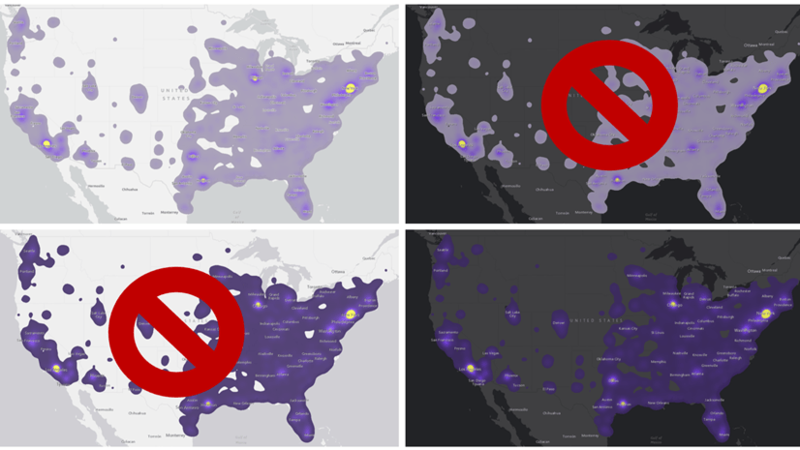 Depending on the layout used, readers may also see a thumbnail gallery of stops. Here’s the Palm Springs Map Tour using the side panel layout. 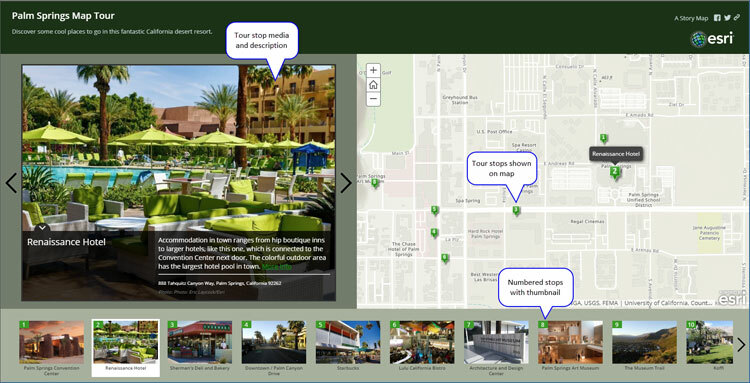 And here is the Palm Springs Map Tour using the three panel layout (the integrated layout has similar parts). Taking a closer look you can see that the tour stop locations and photos are numbered and in sync, and increment as you advance the tour (you can also click any map location or thumbnail to move to a specific tour location). 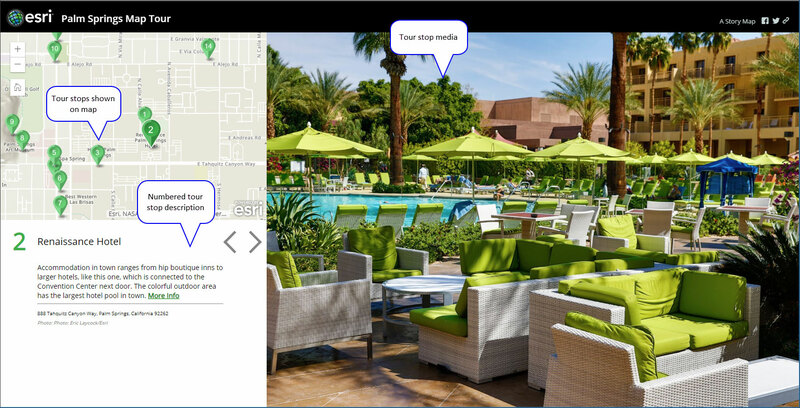 To open a Story Map Tour at a specific tour stop, use one of the methods described below. It’s easy to share a Map Tour at any tour stop. Just open the tour, advance to the tour stop of your choosing, and click Share. Look for the link symbol in the upper right corner of the application. The link includes the option to save the link at the current tour stop. Check the box to Link to current place. You can also add the tour stop of your choice to the story map URL. Using the stop number we can construct a URL to open at a specific tour stop. To go to a specific tour stop add &index=<x> at the end of the URL using the syntax shown below, where <x> is the number of the tour point you want to start with. This post was originally published August 18, 2015, and has been updated.